Views of the UK modern rail scene taken during 2013. Photos are listed in loco/unit number. 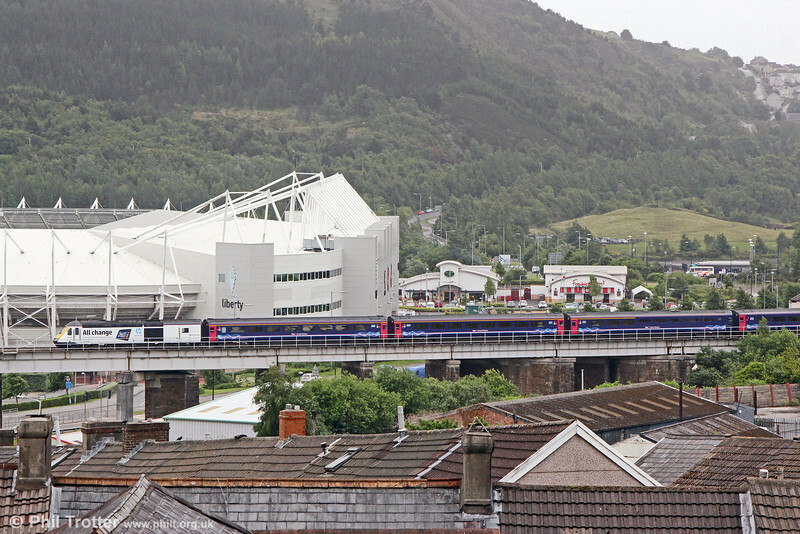 With the Liberty Stadium and Kilvey Hill as a backdrop, HP liveried 43148 departs from Swansea with 1L71, 1428 to London Paddington on 22nd June 2013.